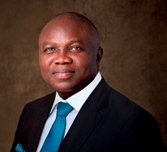 POLICY DIRECTION ON THE ESTABLISHMENT OF THE LAGOS STATE REAL ESTATE TRANSACTION DEPARTMENT. Revenue Service’s to prove that your tax is up to date. under the present regime in the state. CDA Chairman, community leader or public servant of Level 14 and above.